Mesothelioma lawyers in Boston know that victims of asbestos exposure face many challenges in collecting full compensation for mesothelioma, asbestosis or other injuries and health damage that is caused by exposure to asbestos. These challenges include the fact that many companies that produced asbestos have gone bankrupt, and the fact that lung cancer, mesothelioma and other asbestos-related illnesses typically do not develop for decades after the victim was initially exposed to the asbestos. Unfortunately, as if these challenges weren’t enough for people who are seriously ill or who are dealing with the death of a loved one, the government is now trying to make things even harder for asbestos victims. 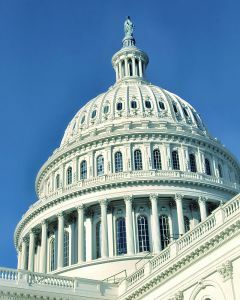 The U.S. House of Representatives passed a bill this November called the Furthering Asbestos Claim Transparency Act of 2013, or FACT for short. FACT passed the U.S. House of Representatives on a party-line vote, with 216 Republicans and five Democrats voting in favor of the act. A total of seven Republicans and 192 Democrats voted against FACT. The Act will now go to the U.S. Senate, where it is unclear whether the law will pass or not. The Democrats currently have a small majority in the U.S. Senate, but if six Democrats vote with Republicans, then FACT could pass and be signed into law. Advocates of FACT indicate that the goal of is to end an “epidemic” of fraudulent damage claims related to asbestos. Trusts have been set up to compensate victims of asbestos-related illnesses who were exposed to asbestos produced by manufacturers who have gone bankrupt. Allegations have been made suggesting that asbestos victims are “double dipping” by filing claims with multiple separate trusts in order to get more compensation. The fraud is described by supporters of FACT as being rampant, although those who are against the Act indicate that fraud is very rare if it exists at all. In fact, Media Matters for America indicated that the error rate in payments made by asbestos trust funds is just .35 percent, which is hardly an epidemic of fraud that would be sufficient to justify imposing extensive additional burdens on people who are very sick from asbestos and who just want to recover money they deserve to cover their losses. The burdens on asbestos victims would be significant under this act. FACT would require the approximately 60 asbestos trusts to publicly disclosed certain private information about those who make claims against the asbestos trusts. The information would be available on websites and could include private details including the names of claimants and family members; the home addresses of claimants; a claimant’s work information; the last four digits of a claimants Social Security number; and other personal medical and financial information. FACT also gives defendants broad leeway to demand information from claimants, even if the information does not have a direct impact or direct relation to the asbestos claim. This could make it possible for companies to simply delay processing asbestos injury claims for a long period of time as the company continues to make demands on a victim. Unfortunately, FACT only aims to “protect” asbestos trust funds and asbestos companies from the “dishonesty” of asbestos victims, and does nothing to protect victims from harm nor does it impose any additional disclosure requirements on asbestos manufacturers. The Act, therefore, seems one-sided and looks to heavily favor asbestos companies while making things much harder for victims.